Your simple & private online clipboard. Join for free and start saving your clips! Clip reminders, recipes, notes, emails, etc. 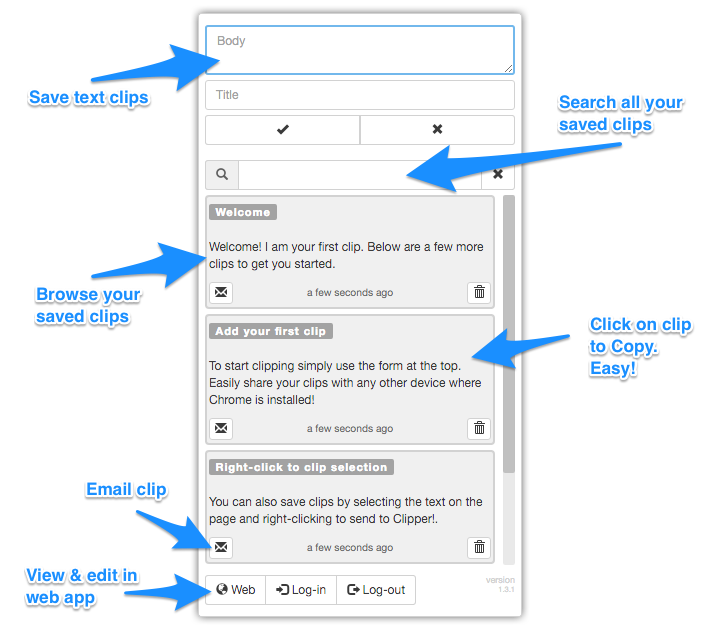 One-click load clips to your clipboard for quick automation. Access through Chrome extension & web-app from anywhere. Never lose track of what's important. Email clips from the application or Chrome extension. Mobile & Tablet friendly interface.